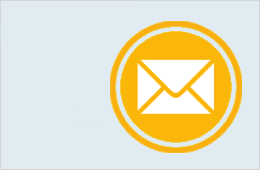 Unlock HTC Windows Phone 8X - Safe IMEI Unlocking Codes for You! Unlock HTC Windows Phone 8X Handset! In case your Windows Phone 8X doesn't ask for the code and there is no designated field to enter it, please DON'T PLACE ANY ORDER, contact us first for support. Are you looking to unlock your new HTC Windows Phone 8X smartphone? If yes, use our instant service and start to use your device with Any GSM SIM card worldwide! Once you receive our code (Network code) and easy to follow instructions, your phone will be unlocked within 2 minutes! Our unlock codes works for the latest models, such as: HTC Salsa, Inspire, Desire, Amaze, Titan, Vivid, HD7 and many more! We are able to unlock the most GSM Carriers including AT&T, Rogers, Fido, Bell, T-Mobile, Telus, Vodafone, Orange, Three and all other major service providers. How to Unlock HTC Windows Phone 8X Phone - Tutorial! Please find bellow a step-by-step guide to follow in order to unlock your HTC Windows Phone 8X. 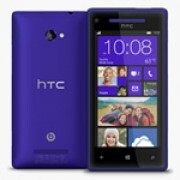 Can you provide code for HTC Windows Phone 8X from Barbados Digicel? Help me please unlock my HTC Windows Phone 8X from Antigua Digicel. Hi Benny! Yes, we should be able to unlock your device. Please insert all the required details into the form and the system will show you details about the price and time needed to get the code. Thank you! It was a torment with the locked windows phone! I really hope you can get me a code. I'm from Macedonia. Hi, thank you for your message. Yes, we should be able to unlock this device. Please use the form to get more details.